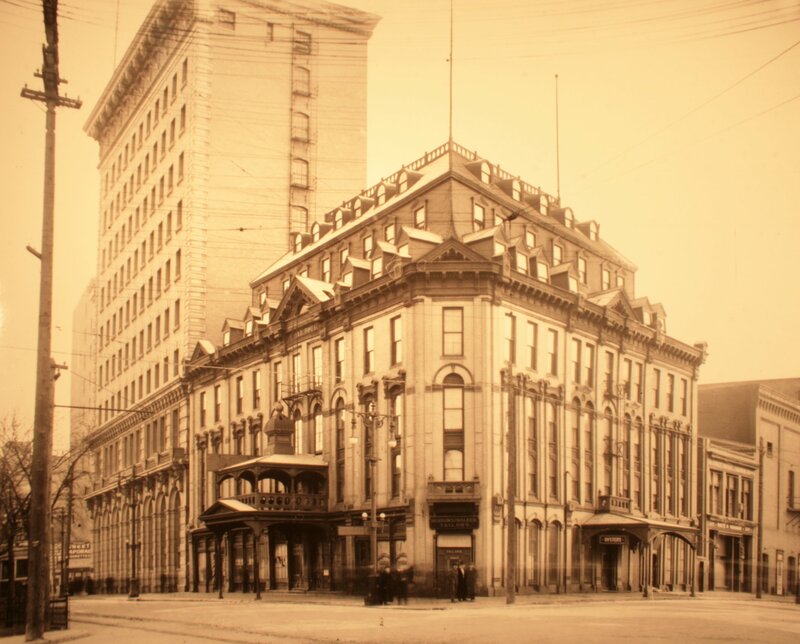 Once one of Winnipeg’s most luxurious hotels, featuring 100 rooms, hot and cold running water, a billiard room, barber shop, and reading rooms. Four storeys added in 1892 were destroyed in a fire in 1913, and removed. The hotel deteriorated further, becoming a roominghouse hotel, and was taken over by the city in 1995 to sit empty before finally burning down in 1999.